THE RURAL MUNICIPALITY OF MONTCALM IS CURRENTLY PLANNING THE 2019 SCHEDULE FOR DRAINAGE PLAN. 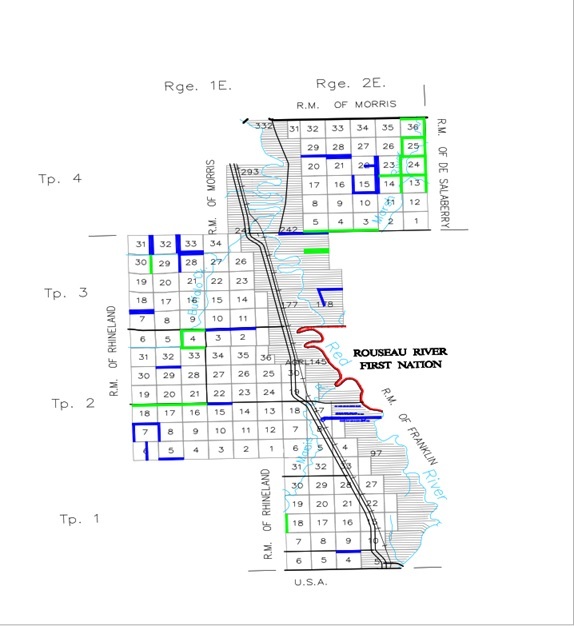 THE MAP BELOW INDICATED THE PROPOSED DRAINAGE CLEAN OUT WORK REQUESTS. THE EXTENT OF THE WORK PLANNED WILL REQUIRE SPREADING OF THIS MATERIAL ALONG THESE DRAINS. WE ASK FOR THE COOPERATION AND SUPPORT FROM OUR FARMING COMMUNITY IN ORDER TO ALLOW THE MUNICIPALITY TO UNDERTAKE THE PLANNED DRAINAGE PLAN. AN UNHINDERED PROGRAM PROCEEDS MUCH QUICKER AND OUR FARMERS SUPPORT WILL GREATLY FACILITATE THIS PROGRAM. Please Click the following link for a Drainage Request form. Or deliver it to the RM office located in Letellier. Application will be reviewed and sorted by priority for the upcoming year. Please take a moment to share your views with us and submit your answer for our online poll. Would you like to have the option of a debit machine at the RM of Montcalm office?